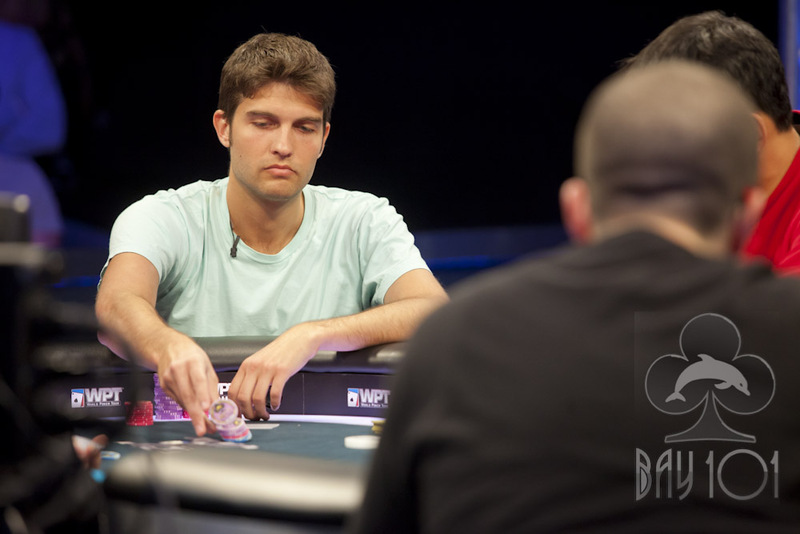 Joe Serock was all in preflop holding [6s][6c] against the [Ac][Qd] of Joe Elpayaa. Elpayaa flopped an ace, but Serock also flopped a set, when the flop fell [Ah][6h][5d], and there was no miracle full house for Elpayaa when the turn and river fell [9c][7h]. Serock has over 1.8 million, and Elpayaa has dropped to under 600,000.